I've been remixing my wardrobe a lot over the past few months. Trying to stay stylish and on top of trends is difficult on a limited budget. There are days I curse at my closet and feel like giving up, but ultimately it's been a great learning experience. I have to appreciate the beautiful things that live in my closet and give them a chance. While I may long for a new wardrobe I have learned that style is not all about trends and designer labels but about your attitude and the way you wear your clothes. Ooh I love those leopard loafers! I am also facing some budget-related challenges. It's a lot of work staying stylish and inspired with limited funds, but it is a really awesome feeling to breathe new life into old pieces. It gets hard wanting so many new things, but it also forces me to be creative. Here's to appreciating what we already have! 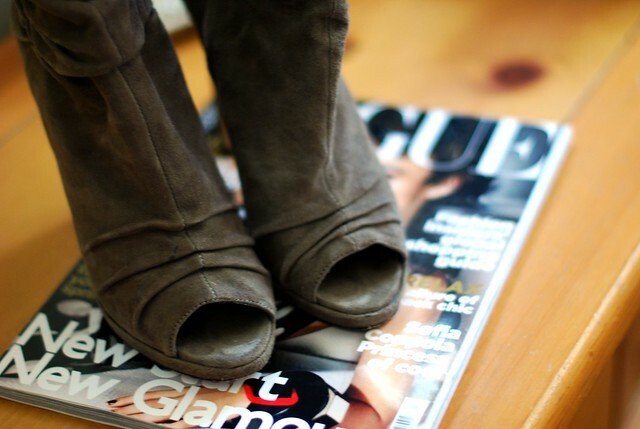 I love those little gray peep-toe booties! Super cute. The pink pleated skirt is just too lovely! Beautiful. 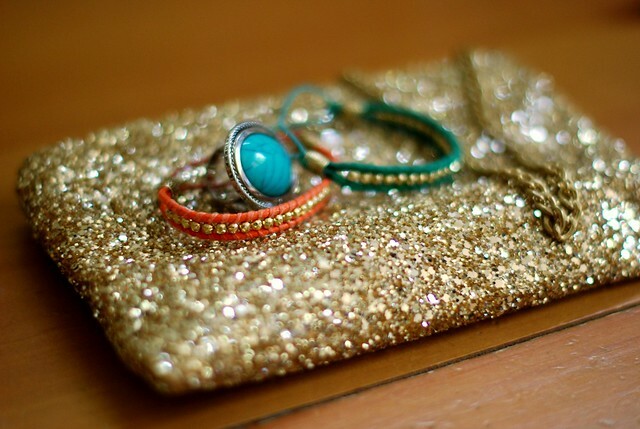 Love the gold clutch. fabulous pictures!! Your outfits always seem relevant and creative so whatever you do works! 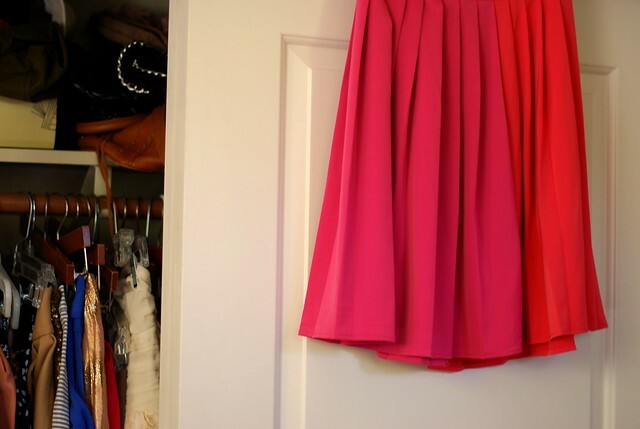 what a great snapshot of your closet! loving the H&M skirt/dress/bracelets. i'll have to take a stroll through there soon! i love the pink pleated h and m skirt! Those leopard loafers are insanely cute. Are they comfortable? Thinking about getting a pair. And honestly, I think you are doing a fantastic job with what you already have in your closet. I love your outfits. Well said, Taylor! Keep those creative looks coming...you always look beautiful! So true and you've done a most excellent job of remixing and looking on trend & stylish! Taaaaaylor, I am dying over here. Between the leopard loafers, the black dial MK watch, the pink midi skirt and the polkadot blouse, my heart is pitter pattering all over the place! MAJOR closet envy this week, m'dear. Great post! It must be a struggle to not have "new" things added to the closet, but you look so beautiful in what your wear all the time regardless because the outfits are so "you." I adore the vintage leopard coat the beautiful sequined J. Crew clutch. MY favourite Piece is your H and M skirt. I just adore it. Love your closet posts!! I want those leopard loafers and the polka dot dress! I get so irritated with my closet at times too. I can be pretty lousy at remixing. I buy something and wear it a couple times, and then get tired of it and want to replace it with new clothes. It's a bad habit! Can I please live there too?! :) The pictures are great! Love the snippets of your closet. Very inspiring actually - those animal print shoes! Are you kidding me it doesn't look like you have a problem at all looking great in your wardrobe. You have some amazing pieces and I look forward to seeing your outfits everyday. Style is not keeping up with fashion and treads but wearing what looks good on you regardless if its old or in style. You have a fantastic watch collection... I love man style watches. Thanks everyone! I don't mean to sound spoiled. I know some of my things are current and lovely. But when you have a style blog and you never buy anything it can make you feel a little crazy at times! 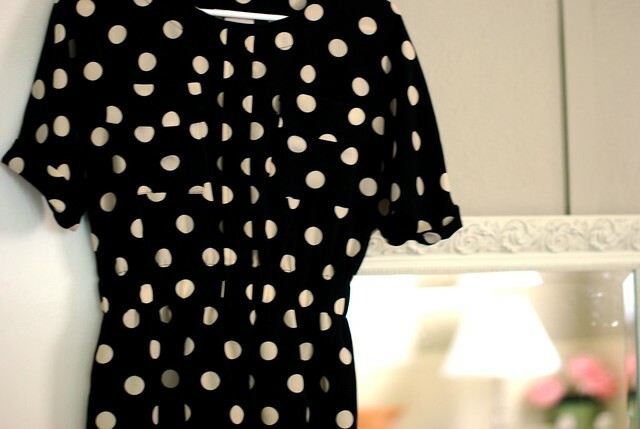 I love your polka dot dress! I have been wanting one for awhile now, just haven't found the right one yet. I wish we had an H & M where I live, but I hear they might be opening up an E-commerce soon...has anyone heard anything? 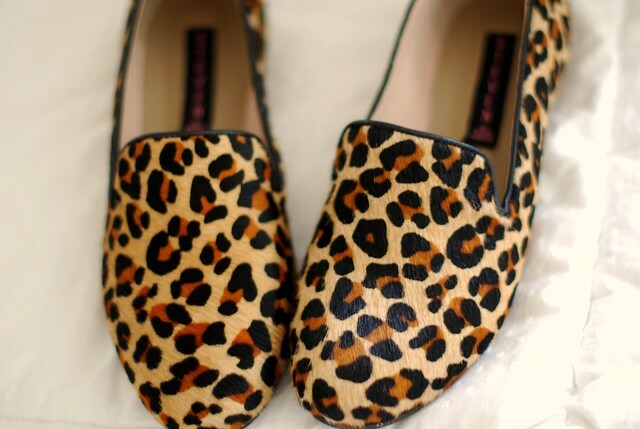 Coveting your leopard loafers... so cute. Flats are my thing right now and I love discovering ones that are a little more interesting. I love the challenge of remixing- in theory. In practice I get so fed up because I'm just not good at it. But I do love how you remix things. Especially that polka dot shirt. Love that every time! How beautiful are the photos! And as the cherry on top is that leopard coat. It's amazing! 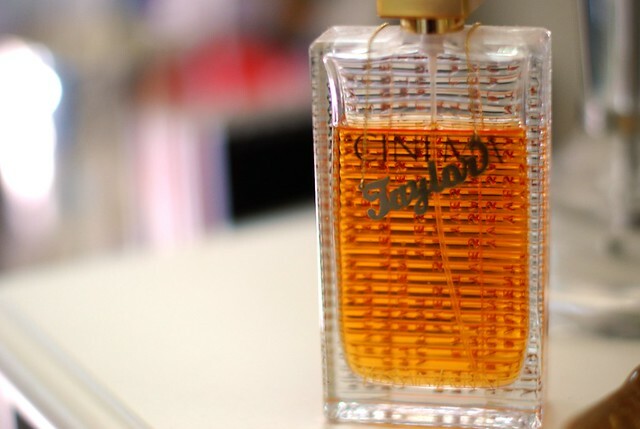 It sounds you've fallen in love with your closet in the best way possible. :)) I couldn't agree more about the attitude and the way you wear your clothes. Confidence and love for everything you wear is the key! I'd even say that when we're restricted in our expenses we are the most creative. I totally know what you mean Tay, I'm going to have the same issue soon with my makeup collection, I'm going to have to be on a budget ;) love ya!! You have the Steve Madden loafers I've been eyeing!!! I love the J.Crew sequin clutch, it looks like the perfect piece to dress up a casual look. I love everything photographed, but the pink skirt sticks out the most to be. Unique, timeless and the colour is beautiful! Really enjoyed this lovely post! It can be refreshing to shop in your own closet and get excited about those fabulous finds you already own. And all the pieces you featured are beautiful! Thanks for sharing! 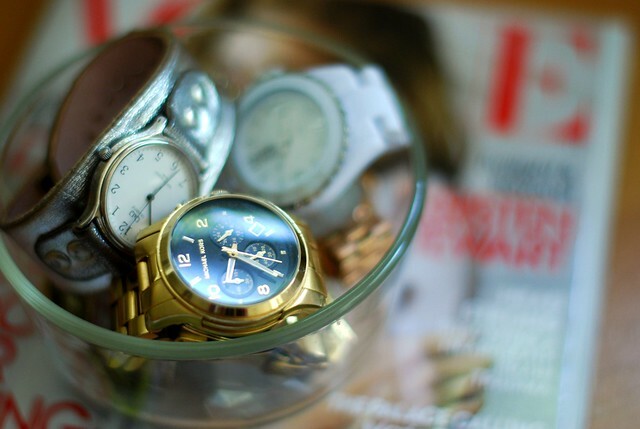 I love that you have a watch collection ... one of my favorite things to buy are watches. I love how classic and "timeless" a watch can be. Also, that skirt is perfection. XOXO! I totally agree to your last sentence. lovely pieces and nice shots. You are doing an excellent job of remixing! I just really enjoy your blog and seeing the outfits you put together! TOTALLY now have to get my own custom necklace :)) Love your items and everything leopard! I totally understand the dilemma, wanting to stay chic and fashion forward without buying a new item every day... You have a gorgeous wardrobe so it shouldn't be too hard! I love the DV booties! I follow you on Twitter, and I was disappointed to see you say that these flats are not nearly as comfortable as they look. They're SO cute, and I was totally already trying to justify purchasing them for myself! But I guess I should look on the bright side -- that's one item I can cross off of my ever-growing wish list. MK watch and Leopard Loafers~ LOVE!!!! 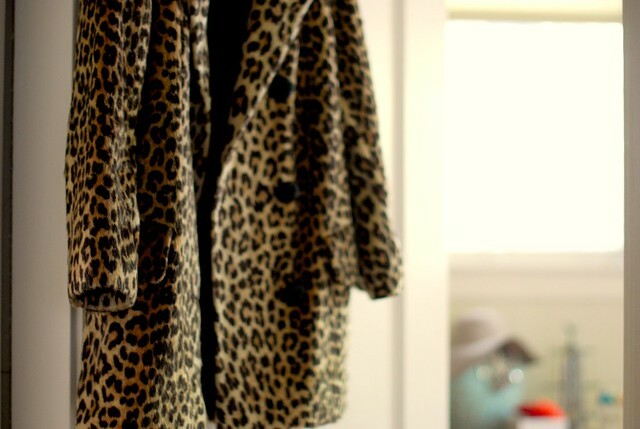 Love leopard jacket. So Edie Sedgwick..